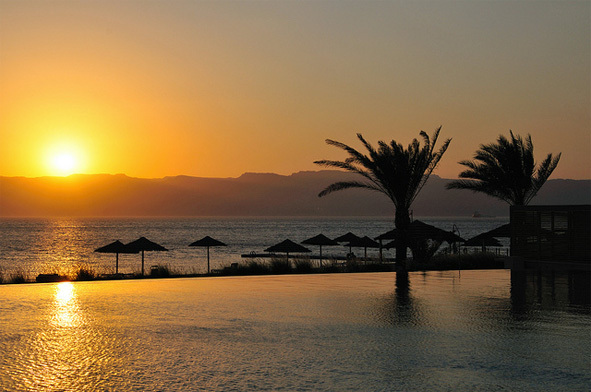 Apollomatkat writes on their website that Aqaba offers fabulous sandy beaches and great snorkelling and diving possibilities for those interested in corals, fish and fascinating sea life. This is true. The best beaches for snorkeling is found around Tala Bay. If you walk 10 minutes along the beach towards north, you find the most amazing sea life. 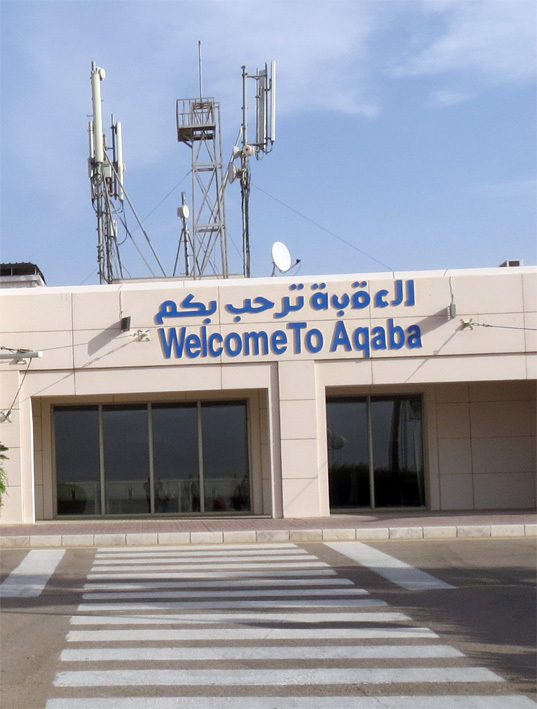 The area is not far from Aqaba city – just drive 15 minutes south by car. Some like to go for a boat ride, in order to dive far away from the beach, but if you do not fancy that, choose a Tala Bay Resort hotel. The hotels have their own private beaches, where it is quite easy to dive in the Red Sea and snorkel among the fascinating fish. 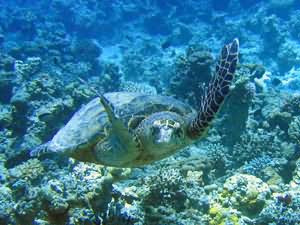 You can also enter the water from the public beaches and experience some fabulous snorkelling moments. We like to order a car from the hotel to pick us up from the airport. We recommend this if you are tired of waiting for the “one last passenger” to show up on the charter bus and then driving to many hotels before your own. You save time and win in comfort utilizing the good car services of the hotels. The prices are not much, if at all, higher than taking the crowded and slow charter bus. A super nice and friendly chaffeur Mohammed told us about Jordan and Aqaba while driving us to our hotel in a comfortable luxury car with A/C. 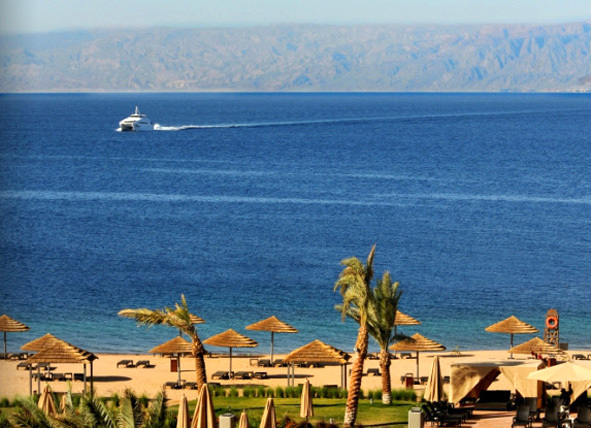 Tala Bay situates right next to the Red Sea. The area is clean and silent. No traffic noise, like in Aqaba and other cities. The view around you is so spectacular. 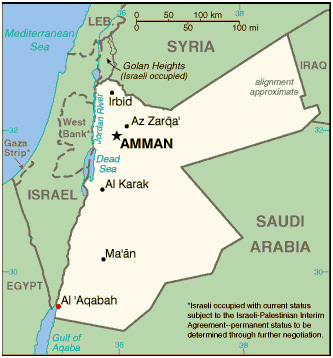 You are in Jordan and see the magnificent Gulf of Aqaba and the beautiful mountains, but you also see Israel and Egypt and almost Saudi Arabia, which starts just five kilometers south from Tala Bay. Apollomatkat gives Radisson Blu Tala Bay Resort hotel 4.5 stars. We chose this hotel. The hotel has 5 stars according to other sources. After spending an awesome week at the hotel, we give it 5 stars. 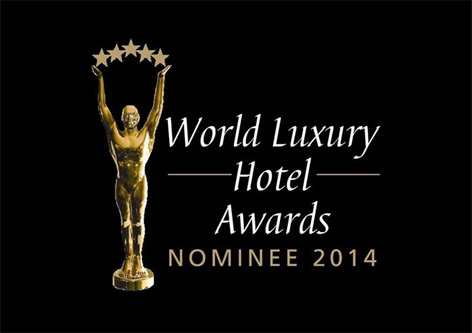 The hotel is now nominated for the 2014 Hotel Luxury Hotel Award. The swimming pools are just amazing. This is the biggest one. The water was cool and refreshing. 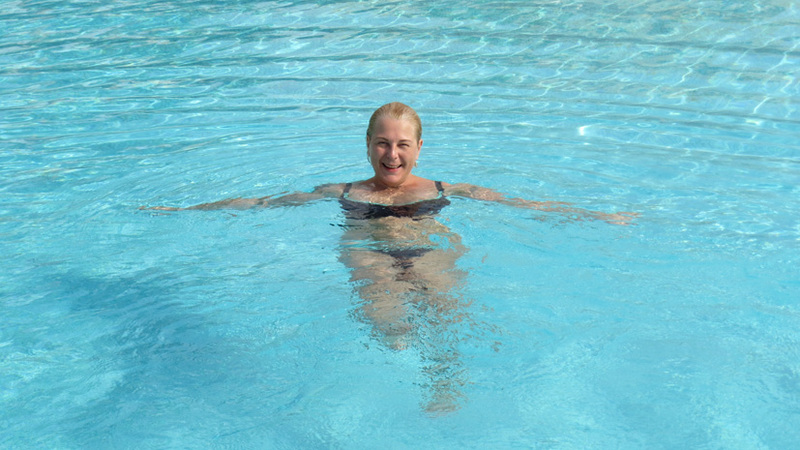 And the size of the pool allows one to swim and exercise. You can see a funny thing on the left side. The Dugout Bar serves drinks and snacks poolside, allowing guests to fully relax in the sun. Located at the resort’s main pool, the bar conveniently juts out to the pool’s edge allowing guests to swim up and order drinks without ever leaving the water. 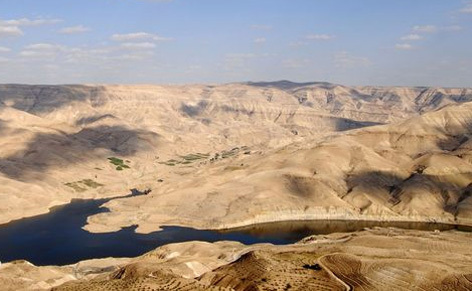 If you like culture and history, fly to Jordan right away. Located two hours drive from Tala Bay, Petra in Jordan is one of the world’s greatest cultural and historical landmarks. 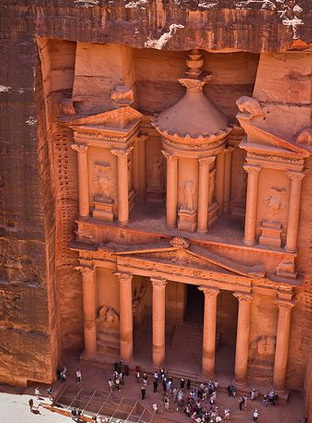 Built by the Nabataeans over 2,000 years ago, it attracts thousands of tourists from across the world every year. Described by T.E. Lawrence as “vast, echoing and god-like”, Wadi Rum in Jordan is one of the Middle East’s most impressive natural attractions. Also known as the Valley of the Moon, this imposing rock-scape reaches heights of 1750 metres. Wadi Rum has historical significance to Jordan too as it marks the location of T.E. Lawrence and Prince Faisal Bin Hussein’s headquarters against the Ottomans in World War 1. You can hire 4×4 vehicles to explore the area, together with a driver and a guide. Alternatively, you can choose the old-fashioned option and explore Wadi Rum by camel, staying overnight in a Bedouin tent. The Arabic language sounds beautiful. We tried to learn the basics before our vacation. The task was not an easy one. In two months we learned words and phrases, but already during the first day in Jordan we noticed that the Arabic language is different in different countries. So we spoke mostly English during our stay in Jordan. The weather was awesome during our week in Tala Bay. The tempereature was 23-29° C, the sun was shining from a clear sky every day and even the evenings were warm. We also liked the new experience of meeting local people and tourists mixed with international tourists. During our stay we met people from Finland, Sweden, Belgium, Asia, Africa, German and The U.S. but also people from Jordan and other Middle East countries. Most Muslim women wore at least a scarf. Many had a hijab. Also at the beach. The beach wear could not have been more colorful and diverse. The Europeans uses swimsuits and bikinis, the local people cover the whole body. And it was totally OK, for everyone. This kind of acceptance and harmony is unique. I exchanged smiles with a few Muslim women and two of them were happy to be photographed. I wish I could speak Arabic and be able to exchange a few words with the locals. The staff of the hotel were mostly super friendly. The people from Asia and Africa were always smiling and helpful. We talked and laughed and shared some nice moments. Just one or two of the hotel’s (main desk) staff surprised me with being less friendly. One was even a bit rude. I guess nothing can be perfect, but Radisson Tala Bay comes very close. 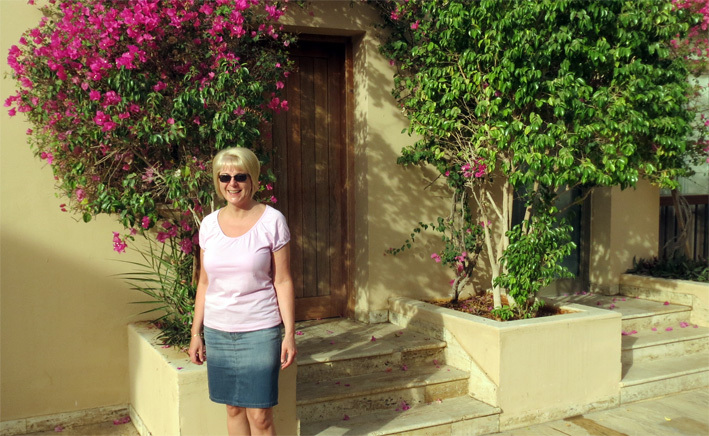 Even though the area is in the middle of the desert, within the hotel area you can find colourful flowers and palm trees. 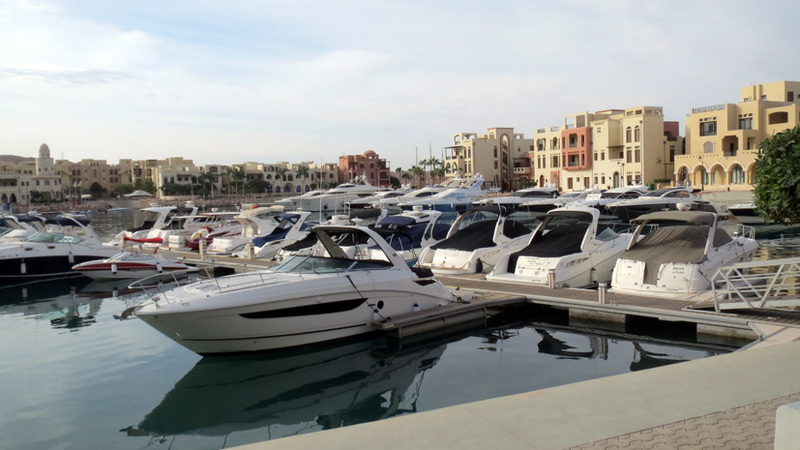 Tala Bay Port welcomes the boat owners. The Port was so quiet the morning we visited it, I wondered were everyone was. Maybe it was too early for the shops to be open and for the boats to take tourist out on the sea. The marina is full of nice boats. If you like water sports, this is the place for you. 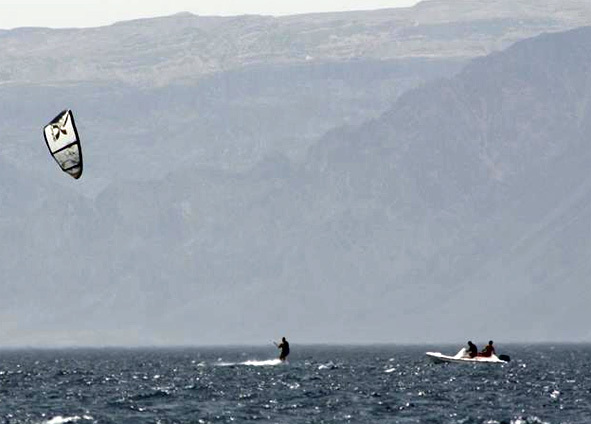 You can rent a jet ski or diving gear, try parasailing and windsurfing, rent a yacht, try the banana boats or water skiing or just enjoy the speed of a speed boat. Tala Bay has a lot to offer. Even if you do not fancy snorkelling, diving or other water sports, you will love the pool area and the relaxed atmosphere of Radisson Blu Tala Bay. 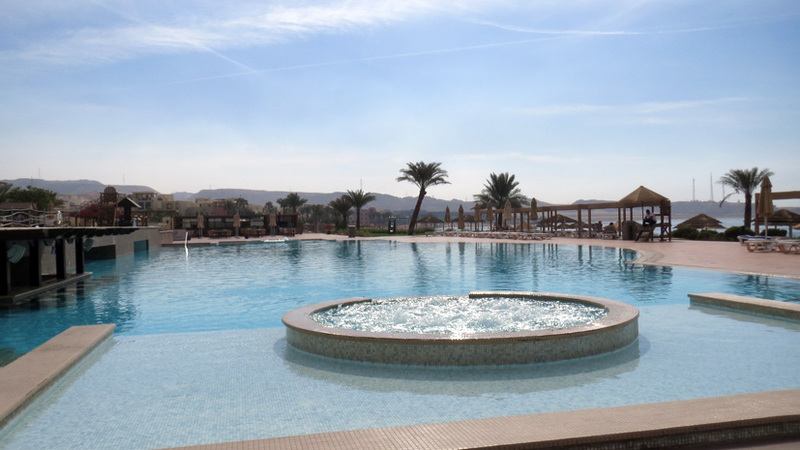 You can visit Petra, Aqaba or the Dead Sea one day, and relax in the sun the next day. A vacation doesn’t get much better than that.